Ç-154 the fourth ship of the fast LCT class. She is identical to Ç-151. Photo: Ahmet Güven. Turkish Navy officially and permanently commissioned the fast landing ship Ç-151. Ç-151 is the first ship of the new LCT class of Turkish Navy. In 2007, Undersecretariat for Defence Industries (UDI), submitted a Request for Proposal for 8 LCT’s. These new vessels were to be built in Turkey and had to be fast. From the four companies that submitted to the tender, ADİK shipyard was chosen. On June 2009, a contract was signed between UDI and ADİK for the production of the ships. The exact value of the contract was not made public but it is estimated to be around 100 million EUR. All 8 ships have been delivered to the Turkish Navy. The construction of Ç-151, the first ship of the class of was started in January 2010 and she was launched on 2nd October 2010. She was handed over to Turkish Navy on 9th March 2012. 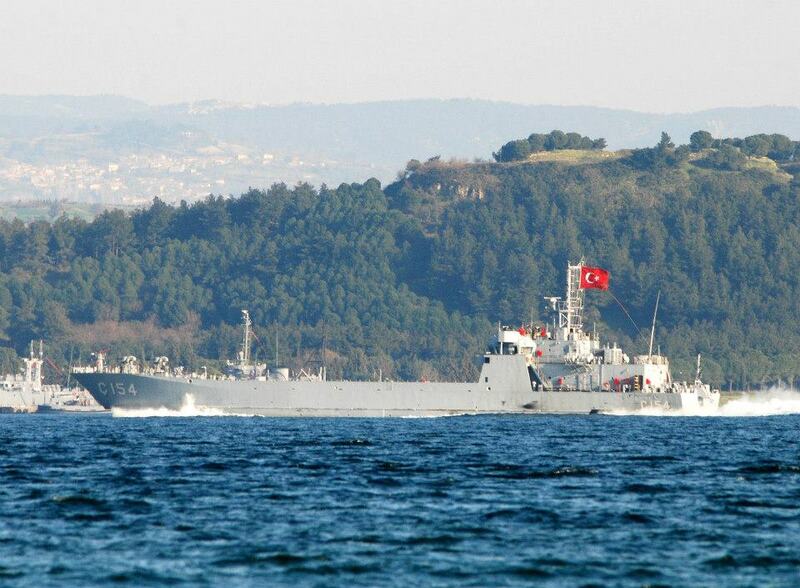 Ç-151 took part in the joint Turkish-Egyptian naval exercise Sea of Friendship (Bahr El Sadaka) in October 2012. When a newly constructed ship is handed over to Turkish Navy the ship is in “temporary” commissioning This means that during the warranty period of the shipyard the ship is not permanently commissioned in Turkish Navy. This happens after the warranty period of the shipyard expires and the Turkish Navy alone receives the responsibility of the ship. Till August 2013 the same procedure will repeated for the remaining 7 LCT’s.